As of today, March 26, UFC legend Conor McGregor is retired from the fight game. Despite his own recent remarks about completing the trilogy with Nate Diaz and a rematch with Khabib Nurmagomedov, McGregor took to twitter early Tuesday morning to announce, "I've decided to retire from the sport formally known as Mixed Martial Arts." McGregor, 30, sent out a similar "retirement" tweet in April of 2016, but he was back in the octagon just months later for his highly anticipated rematch against Nate Diaz. There's hope that he'll pull a similar stunt this summer and return to UFC for at least one more fight against Diaz, but for now, he is a retired man. In honor of The Notorious' illustrious run in the UFC, we take a look back at some of the most memorable, defining moments of his career. In August of 2013, Conor McGregor went toe-to-toe with current Featherweight champion Max Holloway, who replaced Andy Ogle after he pulled out of the fight due to an injury. McGregor went on to win the fight by a unanimous decision (30–27, 30–27, and 30–26), despite the fact that he tore his ACL in the second round. McGregor's trash-talking tactics were on full display in the lead up to UFC 178 in September 2014, and he backed it all up with a dominant KO victory against Dustin Poirier in just 1:46. The win marked McGregor's third first-round victory in just his fourth fight in the UFC, and it solidified his position as one of the top Featherweights in the world. 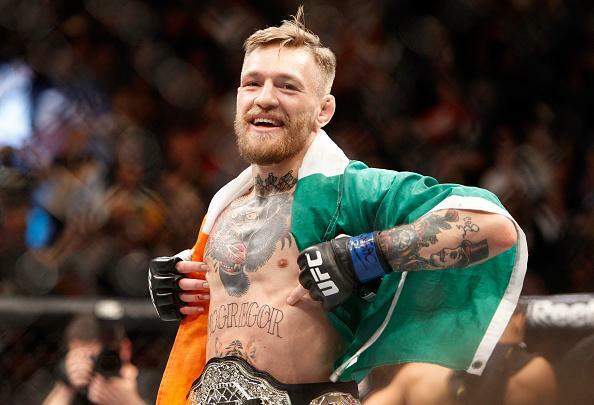 The UFC 189 event in July of 2015 was expected to be headlined by a bout between then-champion Jose Aldo and Conor McGregor, but a rib injury just ten days ahead of the PPV forced Chad Mendes into the spotlight. The Irish superstar faced some adversity early on, as Mendes took him to the mat three times in the first round and then again in the second. 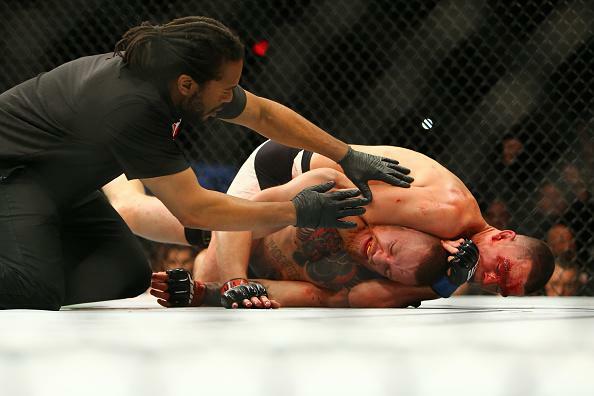 However, a bloodied Conor managed to get back on his feet and he finished Mendes with just three seconds remaining in the second round. 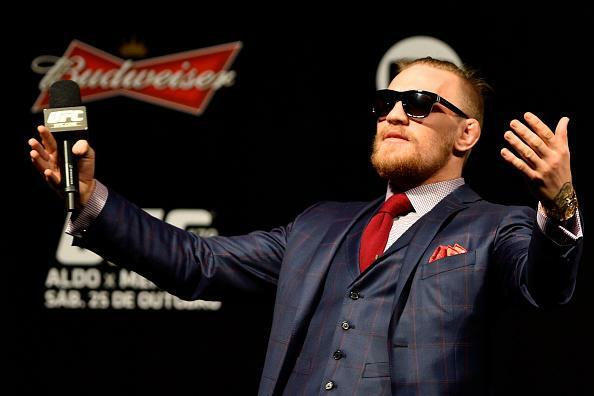 McGregor was dubbed the interim champ, setting up a main event against Aldo a few months later. The Notorious first got his hands on the real UFC gold in December of 2015 at UFC 194: Aldo vs McGregor. The highly anticipated bout had been in the making for nearly a year before the two Featherweights finally got into the octagon, and when they did it was all business. The two didn't touch gloves before the match and Aldo quickly went on the offensive, but McGregor was prepared. 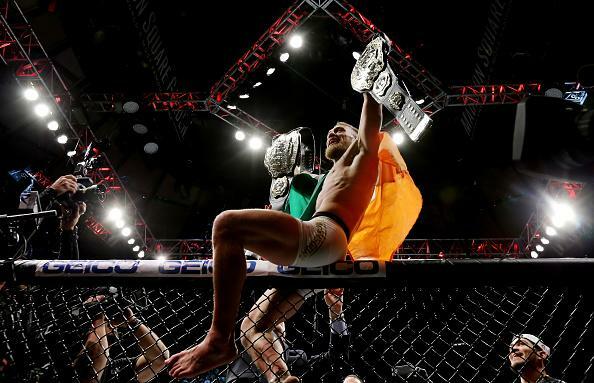 Conor starched Aldo within 13 seconds, marking the fastest finish in UFC title fight history. 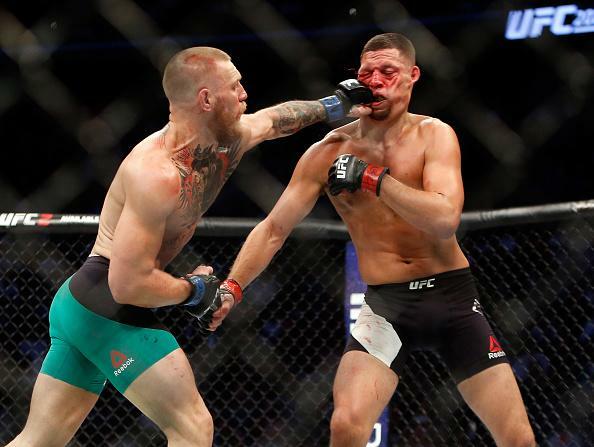 Nate Diaz and Conor McGregor first clashed in a Welterweight bout that served as the main event of UFC 196 in March 2016. McGregor was originally scheduled for a champion vs champion bout against UFC Lightweight champion Rafael dos Anjos, but a broken foot forced him off the card less than two weeks ahead of the PPV. Jose Aldo and Frankie Edgar both declined opportunities to fight against McGregor, but Diaz stepped up to the challenge. The Stockton, California native handed the Featherweight champ his first loss by way of a rear-naked choke in the second-round, which paved the way for an unforgettable sequel just months later. Diaz received a $500,000 payout for his efforts, while McGregor earned a cool million despite the loss. McGregor and Diaz returned to the octagon just five months after their bout at UFC 196, and the sequel more than lived up to the billing. Once again fighting at Welterweight, the two fighters put on a brutally bloody five-round affair which ranks as one of the best fights in UFC history. McGregor avenged his first loss with a majority decision victory scored (48-47, 47-47, 48-47), and fans are still itching for the rubber match. UFC 202 set the record for most bought UFC PPV of all time with a buyrate of 1.65 million, until another McGregor-headlined PPV broke the record years later. The "Champ-Champ" arrived on November 12, 2016, as Conor McGregor became the first fighter in UFC history to hold titles in two divisions simultaneously. Madison Square Garden served as the venue for UFC 205's champion vs champion main event, featuring McGregor, the Featherweight champ, and the Lightweight champ, Eddie Alvarez. 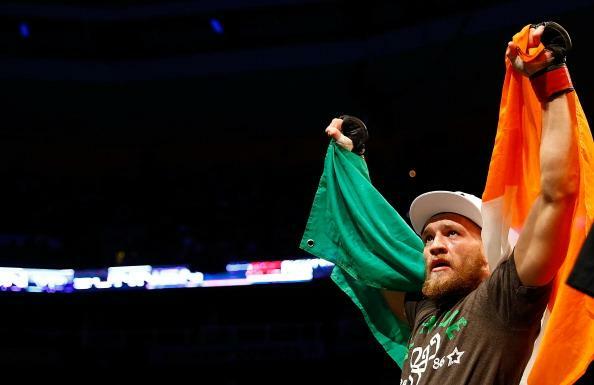 Alvarez proved to be no match for McGregor, who finished the fight with a second-round TKO. As it stands today, Conor McGregor's final fight in the UFC is a crushing fourth-round loss at the hands of undefeated Lightweight champion, Khabib Nurmagomedov. 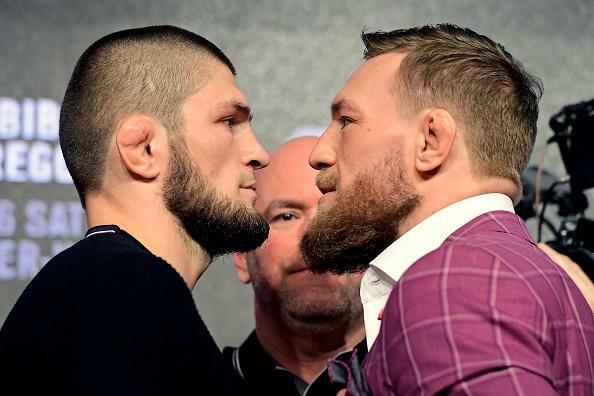 The UFC 229 event set the record for the highest MMA PPV buys, as well as the largest live gate in Nevada. Their bout will always be remembered for more than what transpired in the octagon, especially if the Irish superstar truly never fights again.